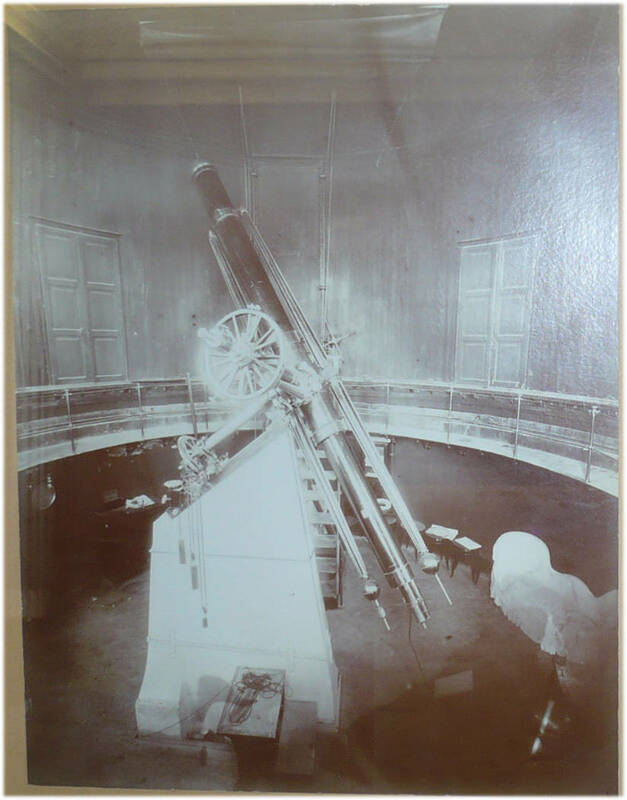 This telescope, which was bought in Munich by the director Domenico Ragona (1820-1892), arrived to the Palermo Observatory in 1858 but was installed only in 1865 by Pietro Tacchini. The instrument was identical to that used by Father Angelo Secchi at the CollegiobRomano Observatory, and this circumstance allowed the two astronomers to start a coordinated program of spectroscopic observations of the solar chromosphere, which led in October 1871 to the foundation of Società degli Spettroscopisti Italiani. In the 50’s of the past century the telescope on undergoing a “modernization” intervention by Officine Salvadori in Florence, was irreversibly changed and lost some original pieces. In 1999 it was restored and brought as close as possible to its original conditions; the unusual marble pillar, in which signs of damage had been recently noticed, was restored in 2013. Bibl. : Chinnici, Brenni 2015; Chinnici 2008a, p. 96.